Walero motorsport base layers use Outlast® fabric technology that claims to regulate body temperature in a racing environment for optimal driver performance – and it recently carried out a comparison test to establish whether wearing Walero base layers makes a physiological difference to the driver in a controlled racing environment when compared to control base layers. 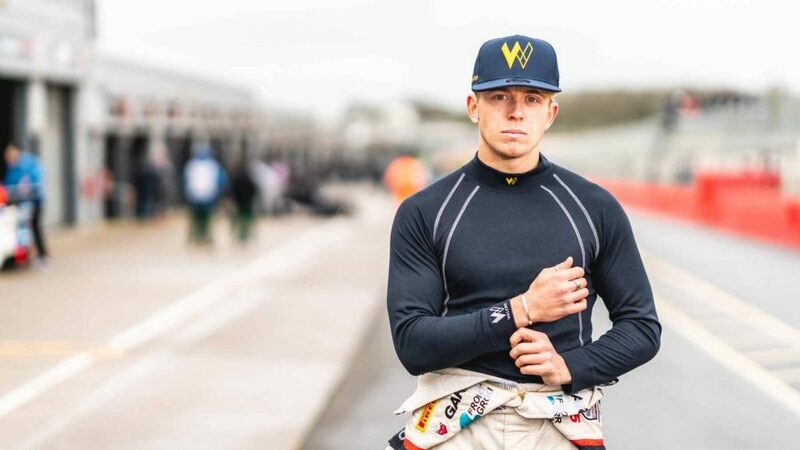 The test subject was professional racing driver Jack Mitchell who won both the British GT4 and China GT4 Championships in 2018 and who will be competing in the 2019 British GT3 Championship. Two 60-minute stints of Donington Park circuit were performed on the Cranfield Simulation G-Cueing GT Simulator. The first stint was completed wearing the control base layers and the second stint was completed wearing Walero base layers. The simulator was set at a controlled ambient temperature of 32 degrees Celsius. This temperature was chosen because it represents the upper limit of cockpit temperature that is permitted in the FIA World Endurance Championship. Stints where performed on two separate days in order to discount the possibility of there being any acclimation to the heat. Bodyweight (kg) was measured before and after stints on the simulator and water intake was controlled in order to carry out accurate sweat-testing procedures. Average heart rate and tympanic body temperature were then recorded every five minutes with a ceiling temperature of 40 degrees Celsius being set. Driver tympanic temperature was measured at 36.9 degrees Celsius at the start of both stint one and two. Tympanic temperature elevated to 37.9 degrees Celsius after 20 minutes of stint one, whilst only increasing to 37.1 degrees Celsius in stint two. The final temperature measured in Stint one (the control group) was 38.4 degrees Celsius, compared to 37.5 degrees Celsius whilst wearing Walero base layers. The stint wearing the Walero base layers produced a body mass reduction of 0.37% over the 60-minute duration, which equated to 0.3 L/hour sweat rate. This would typically be considered as a low sweat-rate. The stint wearing the control base layers produced a body mass reduction of 0.62% (0.5kg loss from a start weight of 81.2kg) over the 60-minute stint duration, which equated to 0.5 L/hour sweat rate. This would typically be considered as a normal sweat-rate for the conditions. The driver’s average heart rate was also 9% lower when wearing the Walero base layers with the average being 100bpm using Walero, compared to 108bpm wearing the control underwear. This investigation has provided benchmark data, but to truly quantify the data a broader sample of drivers need to be assessed in the controlled simulator environment. However, the greater level of thermoregulation, lower sweat-rate, minimal body mass reduction and lower average heart rate values do suggest that the Walero base layers were more efficient at maintaining homeostatic balance than the alternative control base layers. This study was conducted independently by Dean Fouache ASCC PgD who has experience working in multiple forms of motorsport, including the WEC. Walero products are available from Nicky Grist Motorsports.